9x12, xxii + 105 pp. The appetite for amateur music making in late seventeenth-century France led to an unprecedented demand for published chamber music. 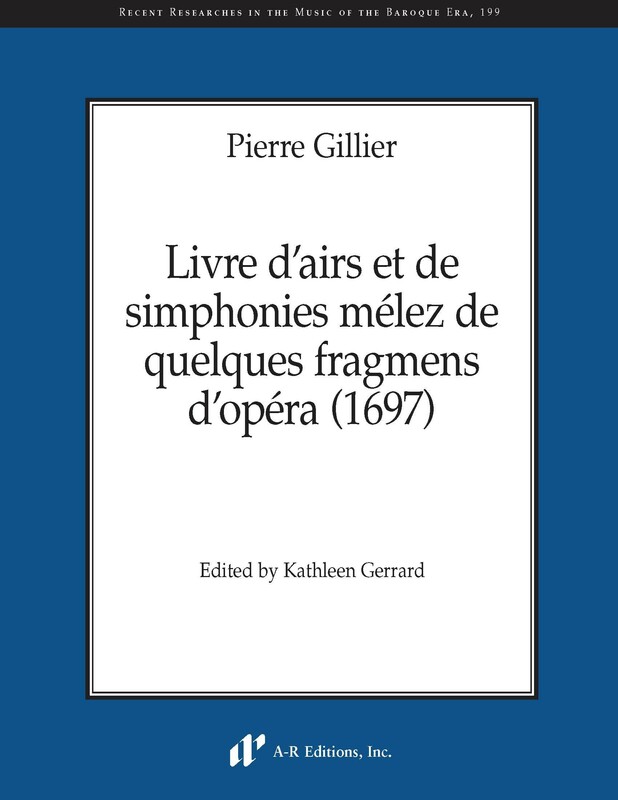 Pierre Gillier’s Livre d’airs et de simphonies mélez de quelques fragmens d’opéra (1697)—comprising sixty-four small-scale vocal and instrumental works with basse continue accompaniment—was one of a number of publications designed to meet this demand. The collection is unusual in offering a variety of genres and is especially noteworthy for Gillier’s strategy of organizing the pieces “in order to make small chamber concerts out of them.” This volume presents the works of this impressive collection for the first time in a modern edition.